Ahead of Liverpool's massive clash with Tottenham at Anfield on Sunday, we take an in-depth look at Spurs' recent form and the threat they pose. Liverpool host Tottenham Hotspur on Sunday in a huge test of the Reds’ championship credentials. With Manchester City expected to take three points away at Fulham Saturday lunchtime, the Reds may be playing catch-up once more by the time they take on Spurs at Anfield. 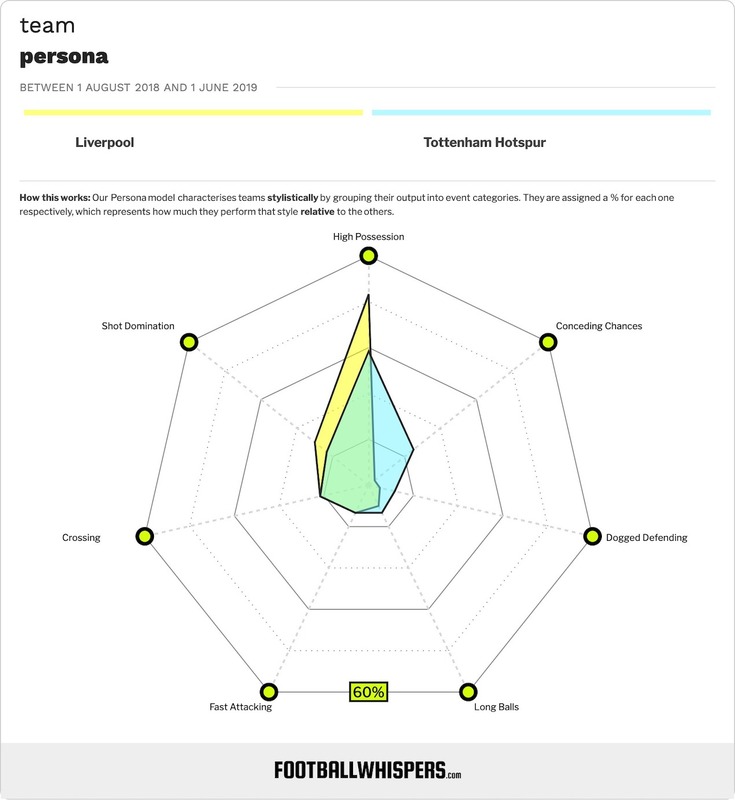 And so engrossed have Liverpool fans been with Premier League and Champions League exploits of late, they may be slightly unaware of what to expect from Mauricio Pochettino’s side. Here, we delve into Spurs’ recent form, tactics and stats to provide a clearer picture of the task ahead. Spurs’ surprisingly stress-free defeat of Borussia Dortmund in the Champions League is something of an anomaly. In fact, progression to the last eight in Europe has coincided with their league form falling off a cliff, so much so that they now find themselves in a scrap for the top four having been outside contenders in the title race. They have taken one point from their last four league outings, which came in the North London derby against Arsenal. Had Pierre-Emerick Aubameyang been more decisive from 12 yards, Poch would be heading to Anfield on the back of four straight defeats. The 2-1 defeat at Southampton last time out was particularly bruising, not least because they went into the break 1-0 up from a Harry Kane strike and having dominated proceedings. Their subsequent second-half capitulation was indicative of the broader concerns that have plagued them of late; a threadbare squad struggling to cope with the demands of an intense schedule. Spurs also have a poor record against the Reds, having won just one of their last 12 meetings. Their last triumph on the red half of Merseyside was in May 2011. Like most of the top-six sides, Spurs are best when they’re flooding forward. Kane has been the sole bright spark recently but, with Dele Alli having returned to fitness, Pochettino will be able to field his vaunted quartet of Kane, Alli, Christian Eriksen and Son Heung-min for the first time since January. There are two areas in which Liverpool should pay close attention; Spurs’ aerial prowess and shooting from distance. The North Londoners have scored 14 headers in the league this season, more than any other team, and with some of the best crossers of the ball – Eriksen, Kieran Trippier spring to mind – they’re always likely to carve out a chance with balls into the box. Spurs have also scored the most goals from outside the box with 12. With that, the Reds must be extremely vigilant in closing off pockets of space from which Eriksen loves to try his luck. They are also efficient at stringing together effective counter-attacks, having managed 16 shots from fast breaks this season. Spurs have always been recognised as a cohesive defensive unit under Pochettino but they have in recent months shown certain vulnerabilities. Hugo Lloris is prone to the odd high-profile error while the men directly in front of him have, at times, been culpable of not protecting the French stopper sufficiently. Interestingly for a side third in the league, Spurs rank 19th in defensive duels won, 17th in aerial duels won and 15th in tackles completed. An indicator of Spurs’ declining form is the fact that they’ve increased the number of expected goals conceded since the match against Newcastle United on February 2. Beforehand they were conceding an average of 1.24 expected goals per match; after they’ve been conceding on average 1.92 expected goals per match. This match will feature two of the most in-form forwards in the Premier League. Sadio Mane has nine league goals in 2019, putting him level with Sergio Aguero, while Kane has scored Spurs’ last four goals in all competitions. Kane’s surge has come at the right time, too, with Son’s hot streak having cooled off. After 11 goals in 12 games between December and February, the South Korean has failed to score in his last five appearances. 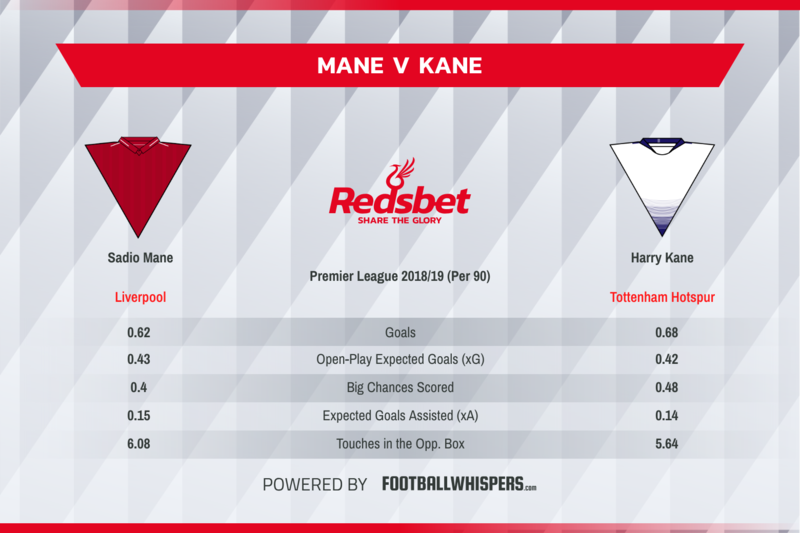 Kane also has a strong record against the Reds with five goals and two assists in eight appearances. Mane, on the other hand, has two in as many games but history is likely to matter little given how clinical the Senegalese forward has been in 2019. It’s not going to be easy – it never is against Spurs – but we’re backing Jurgen Klopp’s Reds to get the job done on Sunday. Pochettino has a poor record against Klopp and the Reds should have enough firepower – not to mention a fully rested Mohamed Salah after he was excused from international duty with Egypt – to successfully negotiate one of their last top-six meetings of the season.